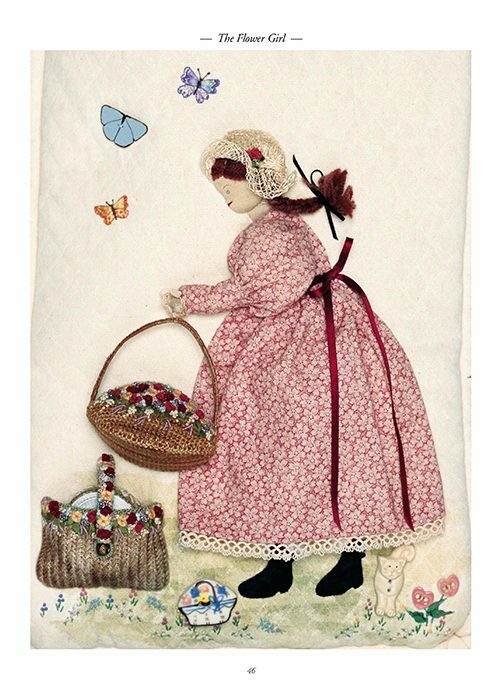 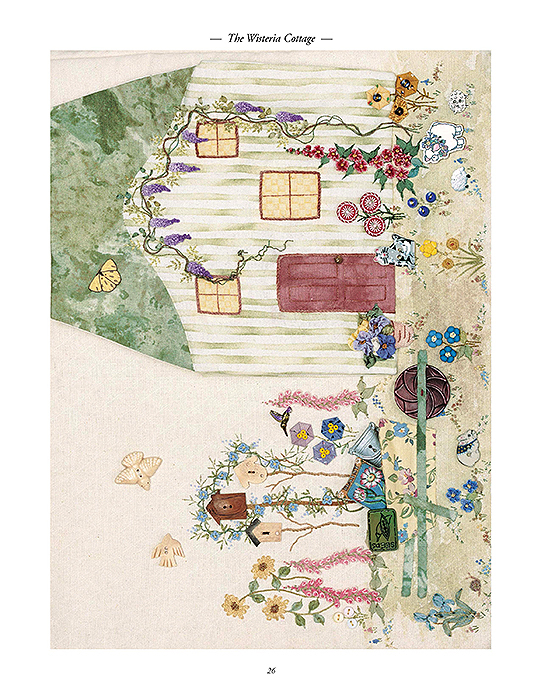 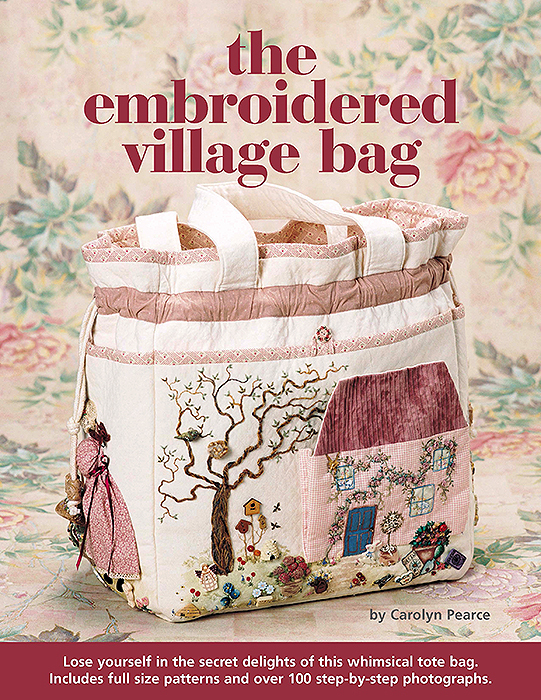 Lose yourself in the secret delights of this whimsical tote bag by Carolyn Pearce. 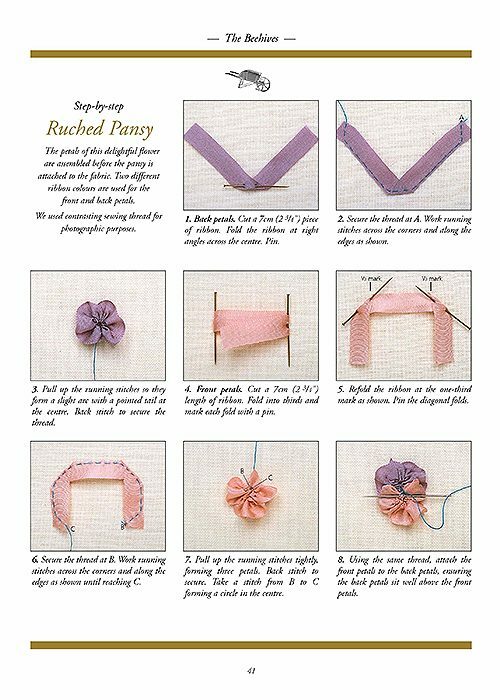 This project is the perfect opportunity to make good use of all those precious fabrics, buttons and beads most of us collect over time. 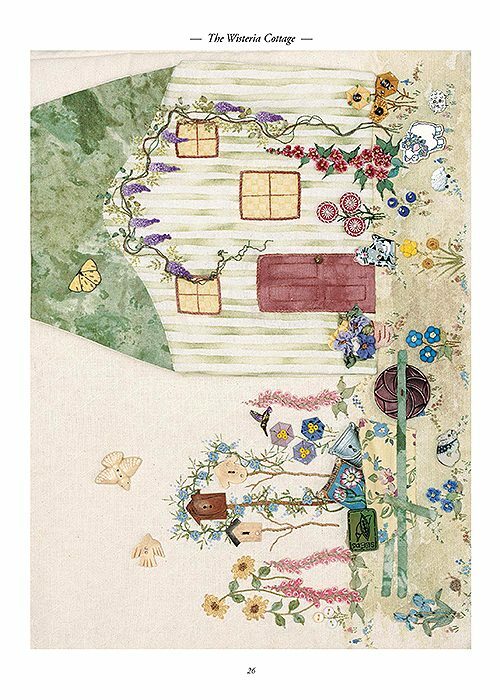 By using your own treasures, you will create your own unique masterpiece! 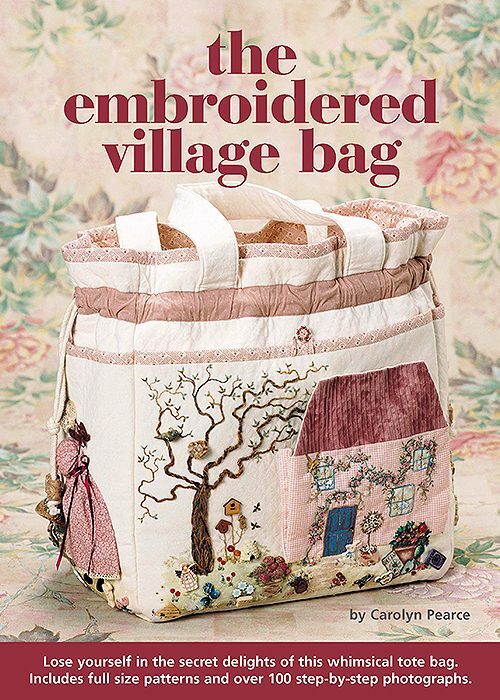 Very few workbags are decorated as exquisitely as this magnificent Village Bag by Carolyn Pearce. 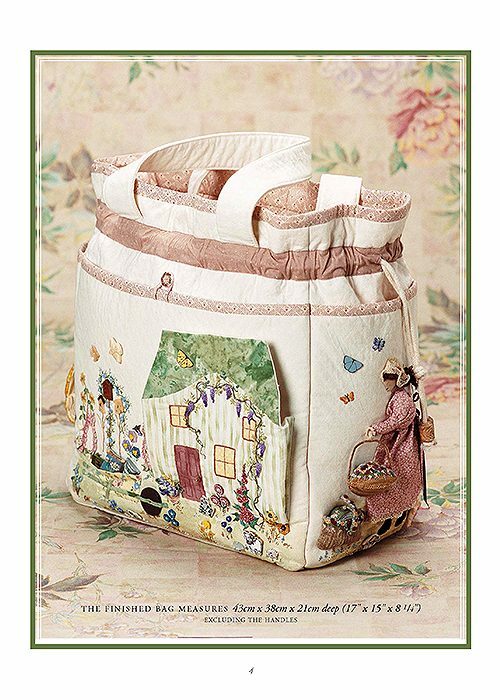 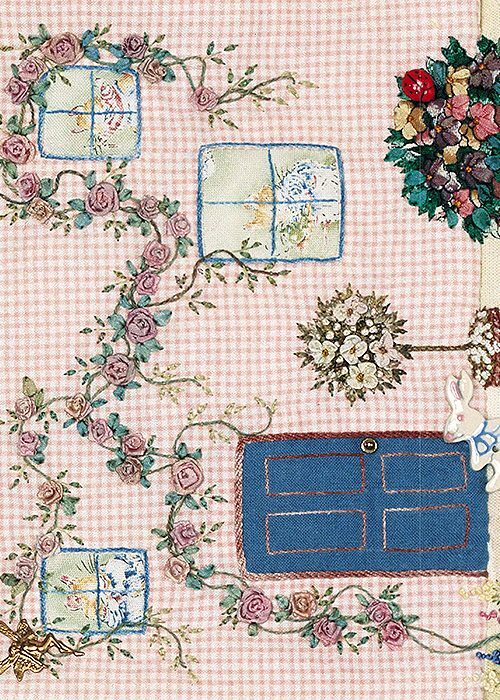 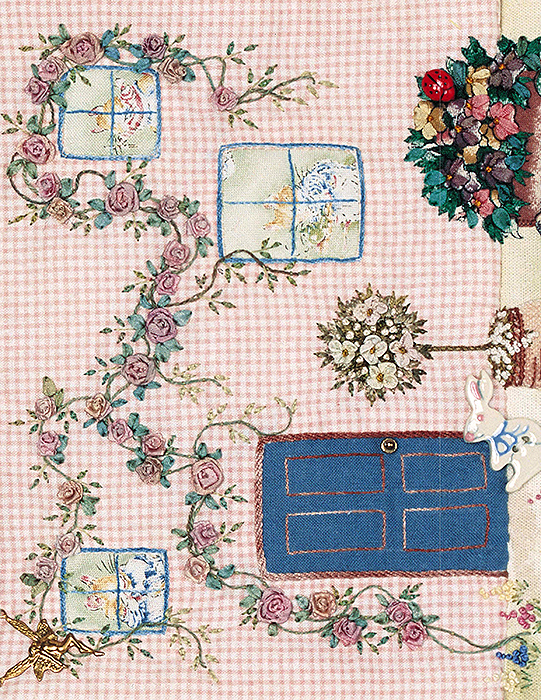 The sides of the bag are decorated with country garden scenes including two charming cottages draped with wisteria and roses. 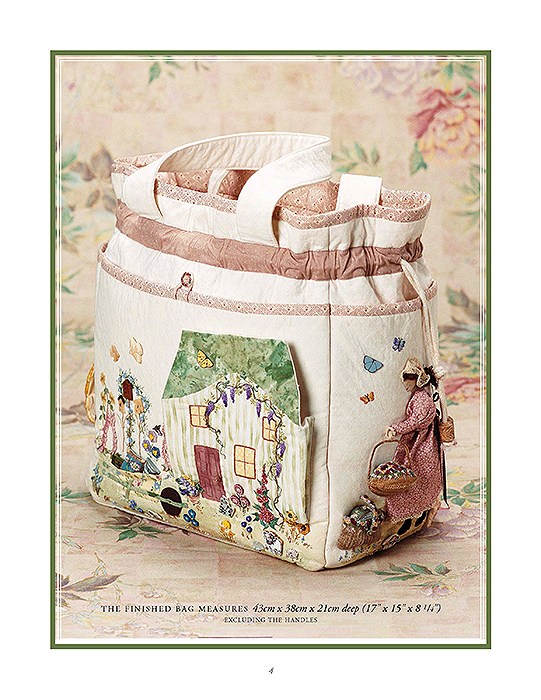 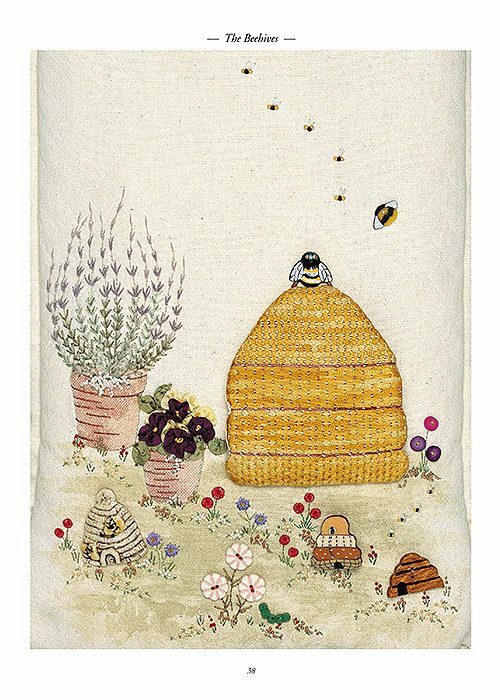 A flower girl with two flower baskets is featured on one end of the bag, while a large beehive and a delicate lavender bush appear on the other. 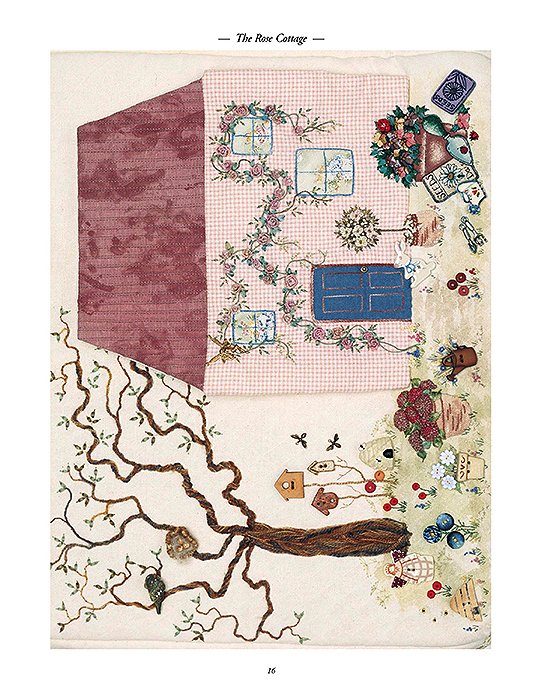 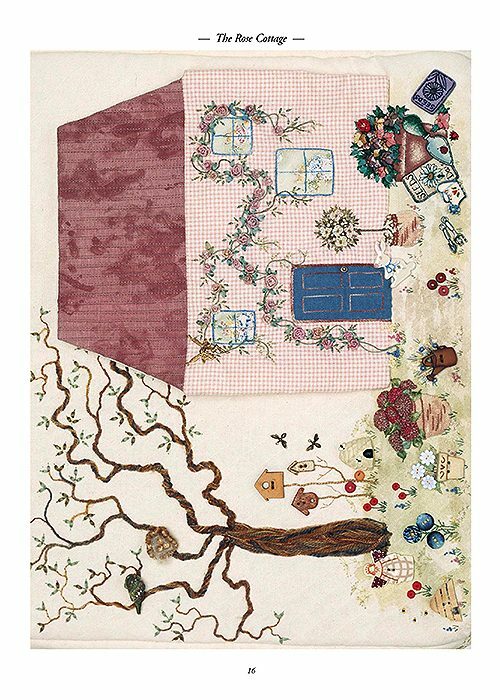 The scenes are embroidered with a wide variety of threads and ribbons with appliqué and sculpted elements adding to the raised effects. 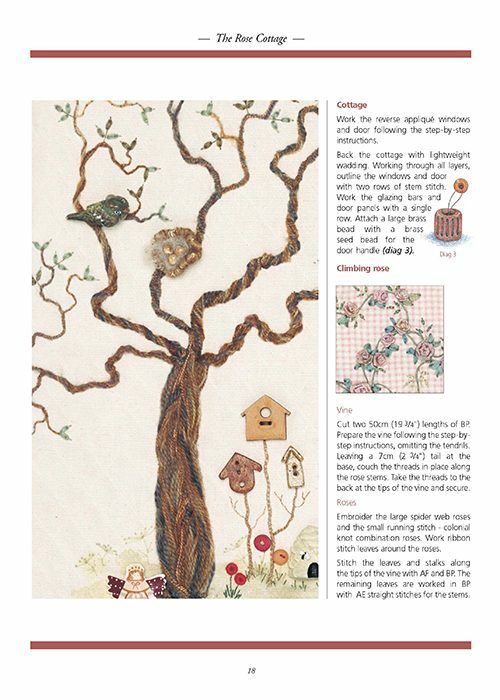 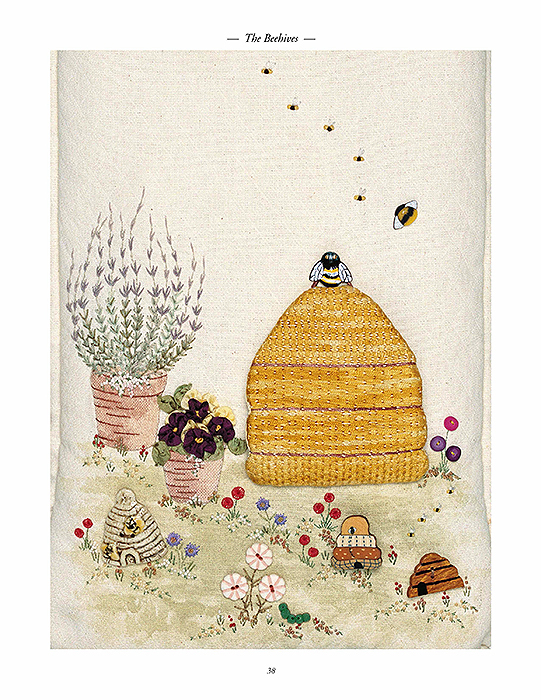 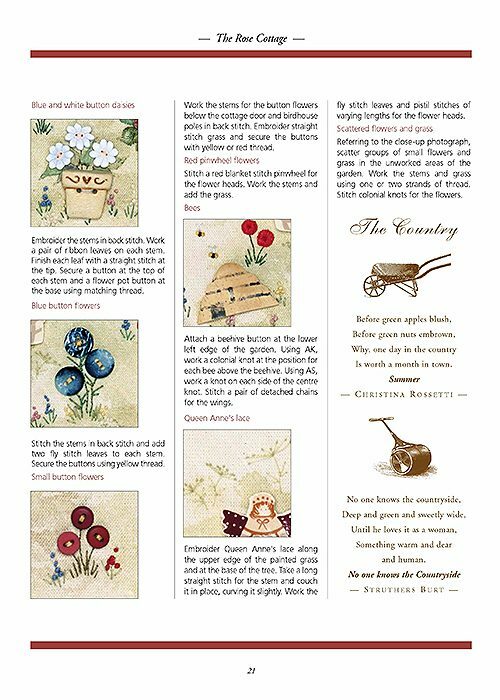 The embroidered scenes offer the embroiderer a rewarding challenge as well as a little fantasy. 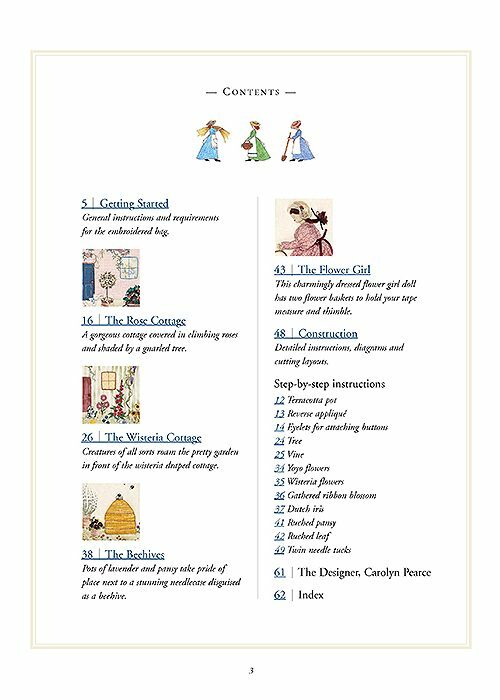 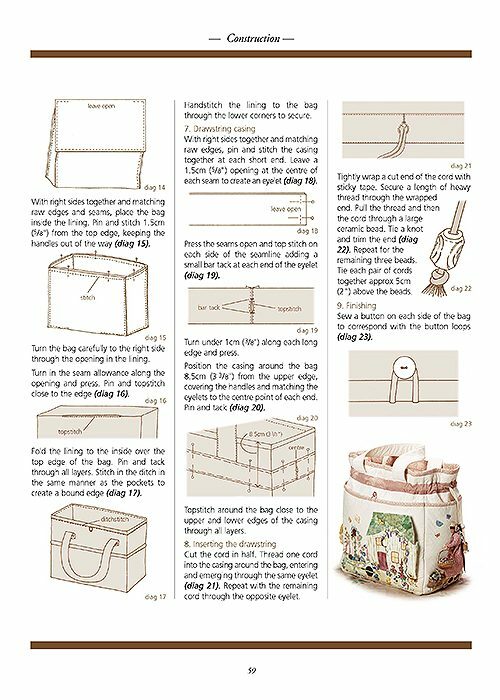 The book includes all the instructions and pattern pieces to make the bag, as well as detailed instructions for all the elements. 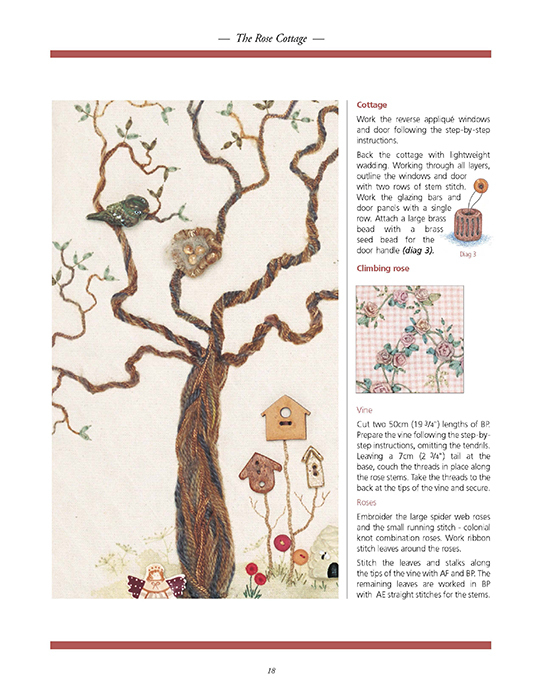 Perhaps the most satisfying aspect of this project is the numerous ways you can make it your own by interpreting the design with your own fabrics and notions you have collected along your needlework journey to date. 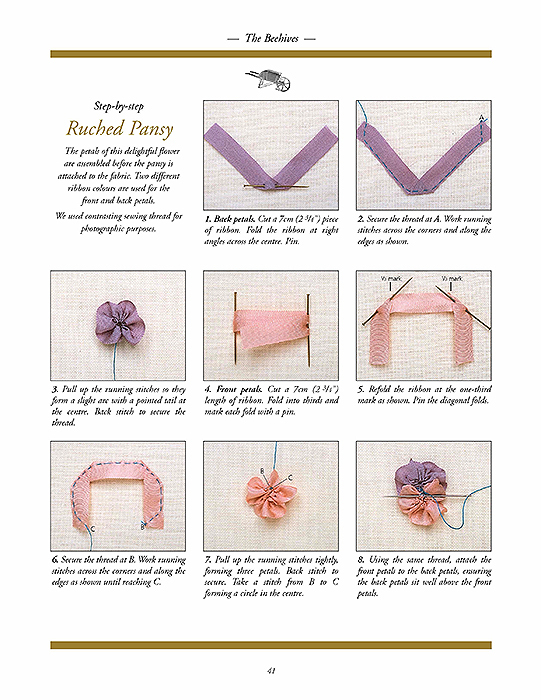 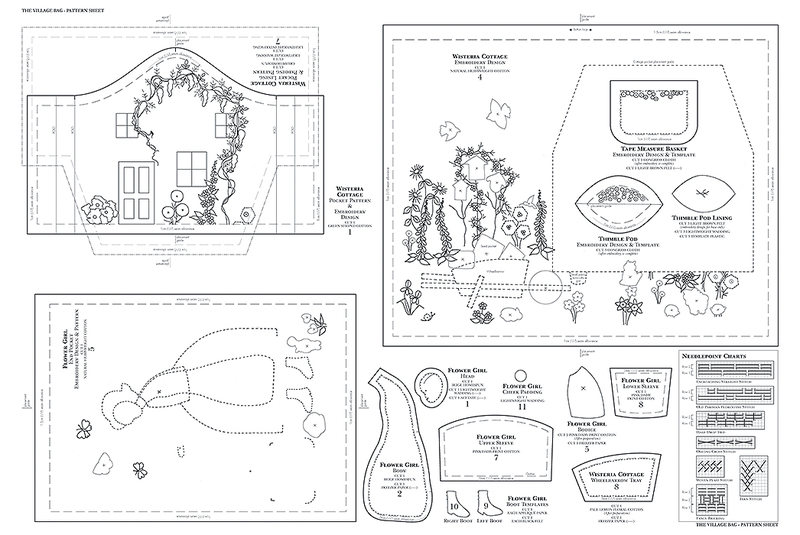 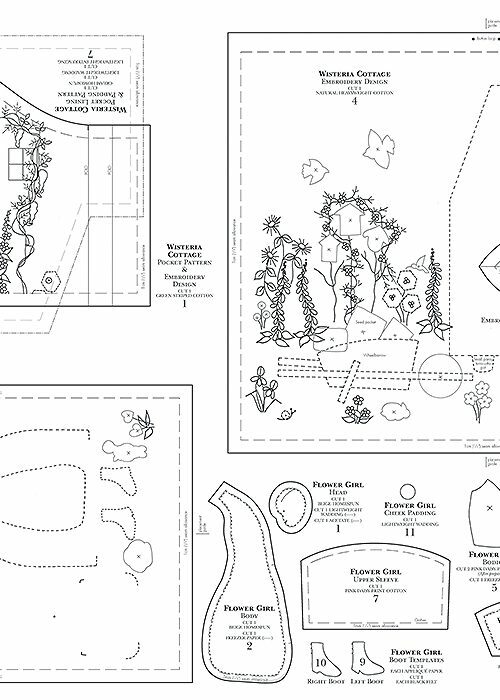 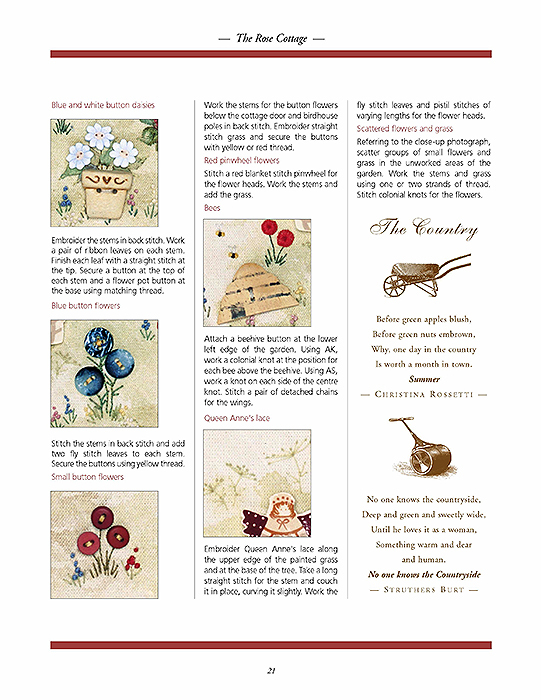 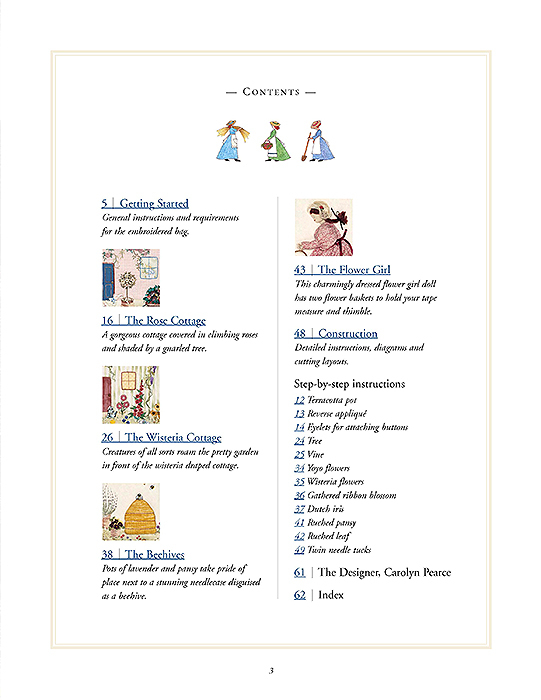 Includes 2 full size patterns for you to print at home and over 100 step-by-step photographs. 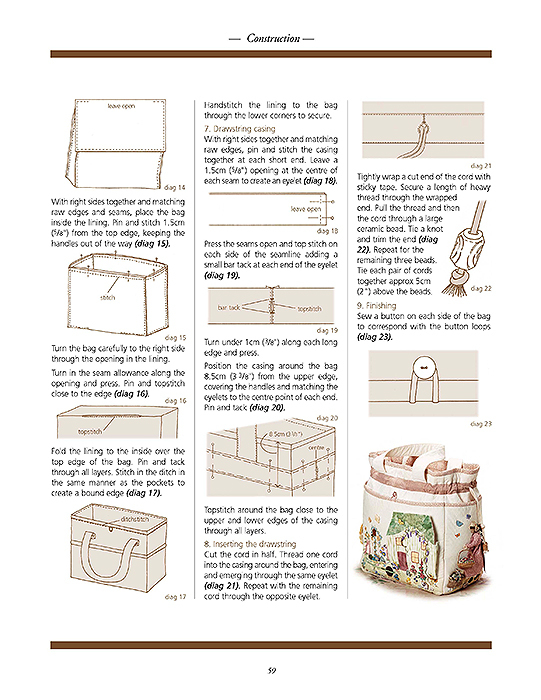 The finished project measures: 43 x 38 x 21cm (17" x 15" x 8 1/4") excluding the handles.